It’s hard to explain just how huge Jurassic Park was to someone who didn’t live it. When it came out, it was the must-see, must-have, and must-wear product of the summer, a blockbuster smash with branding that went far beyond the film itself. It was an icon, a lunchbox, a movie that spawned a giant franchise. And so what if the movies that followed weren’t as good; it didn’t mar the reputation of this instant classic, didn’t detract from the magic of dinosaurs brought to life in a way that had never been done quite so perfectly before. I was 10 that summer, just the right age to love everything about it, and perhaps, having watched it a dozen times since, it’s lost a bit of its luster. But my adult critiques don’t stop Jurassic Park from being one of the greatest sci-fi/action movies of our time. On an island off the shores of Costa Rica, a very wealthy & ambitious man named John Hammond has created something spectacular; an amusement park made up of living dinosaurs. His scientists have discovered preserved DNA, added in amphibian strands, and created test-tube dinos, filling an entire island with Jurassic habitat. But now that the park is about to open, concerns about its safety have arisen, demanding the approval of top scientists before gates can be opened to the public. On board for the inaugural tour are a lawyer named Donald Gennaro, a chaotician named Ian Malcolm, palaeontological experts Grant & Sattler, and Hammond’s grandchildren, Tim & Lex. They begin the adventure of a lifetime, one that starts as an eye-opening wonder and ends as a fight for prehistoric survival. What can I say, the movie still gets me. It was awesome in 1993 and it’s no less spectacular now. The dinosaurs, the island, the danger, the T-rex in the rain, the cunning raptors, Nedry, Grant’s knowledge, Sattler’s tenacity; you’ve got all the pieces for an excellent fantasy thrill ride. And really, with a crew like this movie has, it’s not even fair. The book by Michael Crichton, direction by Steven Spielberg, music by John Williams; it’s a Hollywood dream team that couldn’t possibly have failed. The action of the film is intense, there’s just enough science to provide a background, and that soundtrack has become legendary. There are only a few details keeping Jurassic Park from absolute greatness, as far as my adult, critic brain is concerned. Sam Neill just isn’t a loveable hero, Laura Dern just isn’t hot enough, Jeff Goldblum’s part is actually very small, and Lex is left to scream her way through the plot far too often. But hey, you got Samuel L. Jackson, BD Wong, Wayne Knight, Bob Peck, and Richard Attenborough as backup, so there’s really only so far downhill you can roll, no matter what mistakes are made. 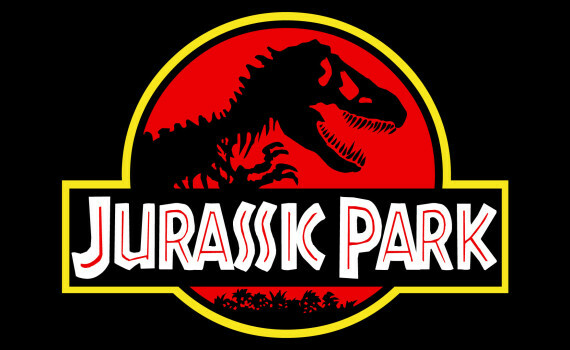 Jurassic Park will always be a childhood favorite, a time capsule film, and a movie I can watch wherever, whenever.